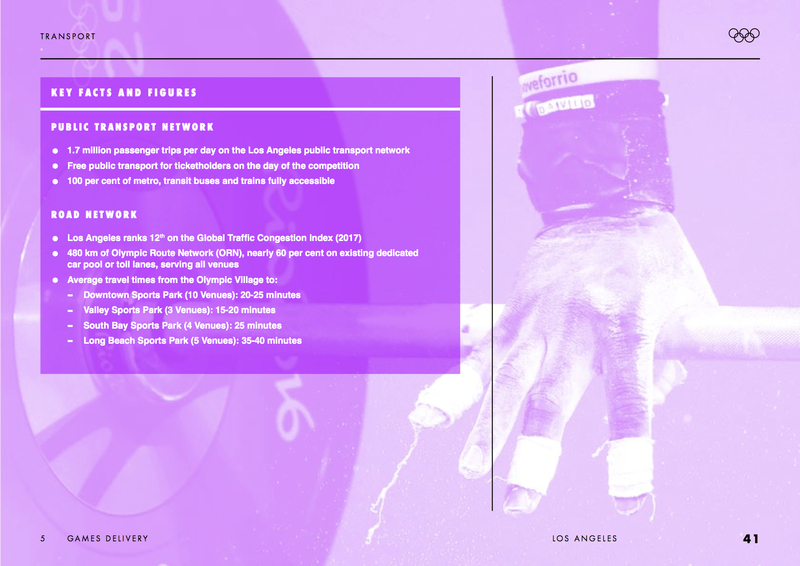 A screen grab of the IOC’s new video on the L.A. and Paris bids. Credit: International Olympic Committee. As you have probably heard on the news in recent months, the IOC in September will announce a winner for 2024 and the 2028 Games — something they haven’t done before. That seemingly bodes well for both bid efforts. 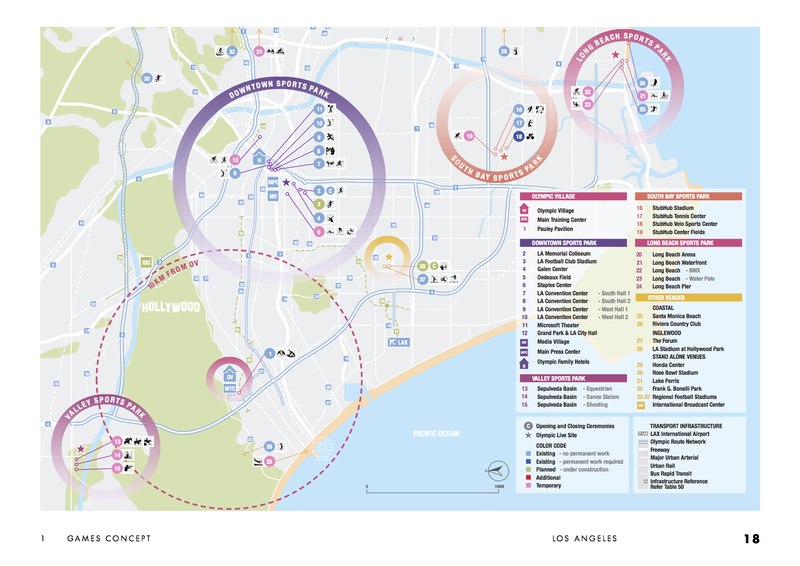 Many of the Olympic venues that are part of the L.A. bid are near busy transit lines — with venues clustered in downtown L.A., Long Beach, Santa Monica and the Sepulveda Basin adjacent to the Orange Line busway. The Athletes Village would be at UCLA in Westwood. The IOC put north on the left side of the map. Attentive Source readers know that Los Angeles County voters in 2008 and 2016 approved sales tax ballot measures (Measure R in ’08, Measure M in ’16) to greatly expand transit here. The full Measure M spending plan is here along with project descriptions. Metro is also in the process of evaluating several proposals for public-private partnerships that could accelerate several transit projects. The agency is also working on an update to its long-range transportation plan that will formalize project delivery dates. 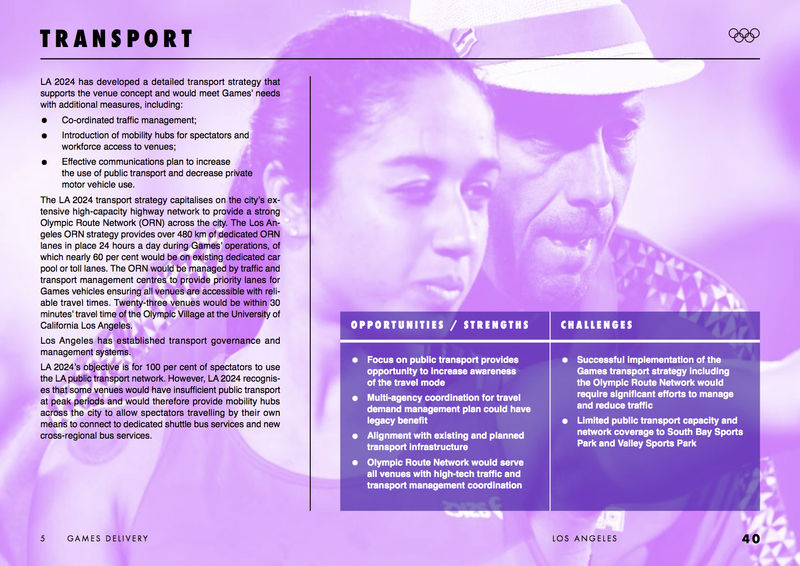 The IOC is right that the Valley and South Bay “sports parks” have limited capacity for transit. No Sepulveda rail line would be completed even by 2028 and no rail or high capacity bus is being proposed to the CSUDH/Stubhub Center complex, despite CSUDH growing to beyond 20,000 students in the coming years. It is the forgotten CSU compared to Cal State LA, Long Beach State, or Cal State Northridge, all of which are major bus hubs for their region. So when is that LRTP coming? It’s supposed to be a two-year process, beginning this year with much of the work next year. Seems like Paris is favored……………………. Perhaps — 2024 will be 100th anniversary of the last time that Paris hosted, so there’s that. 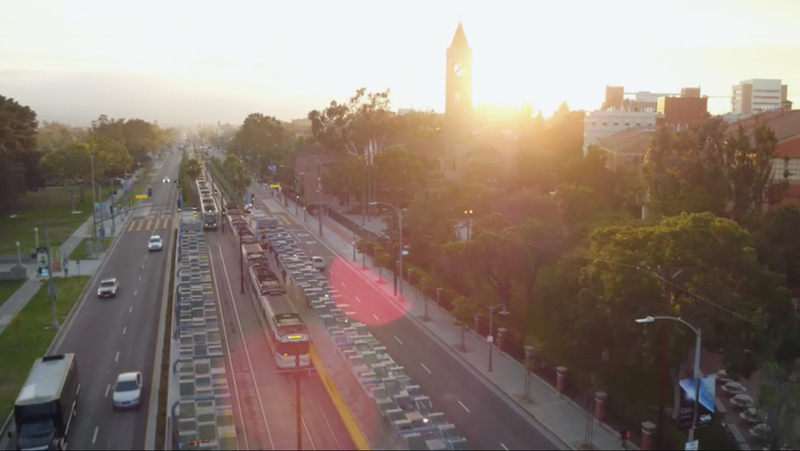 I think 2024 or 2028 is good for L.A. and 2028 gives the city some breathing room to make a number of civic improvements.